Although each of us brought two crashpads, Andi’s huge van still looked empty when we left for Switzerland. The six hour drive from Carinthia to Ticino was considerably shortened by the seemingly infinite playlist, and we had the presentiment Paul Kalkbrenner would accompany us for the next twelve days. 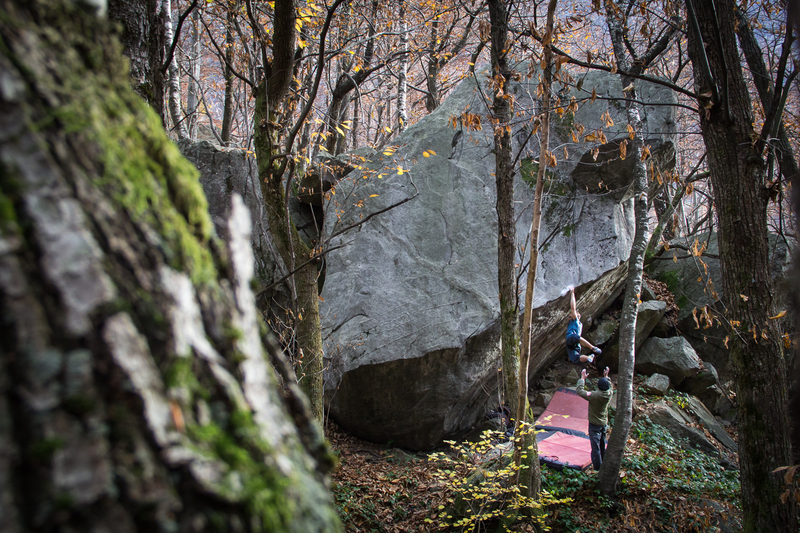 Over the past years I visited Ticino’s infamous granite boulders several times, but unfortunately the area around Brione was always covered under a thick blanket of snow. 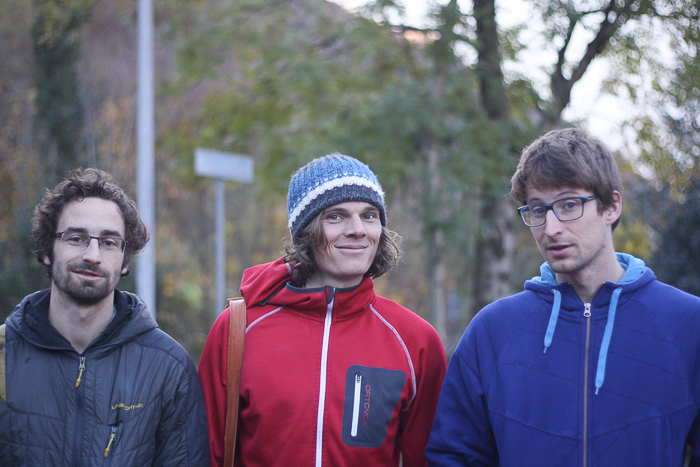 This time the forecast promised rather warm conditions, so we mentally prepared for skin intensive climbing days in summer outfits. 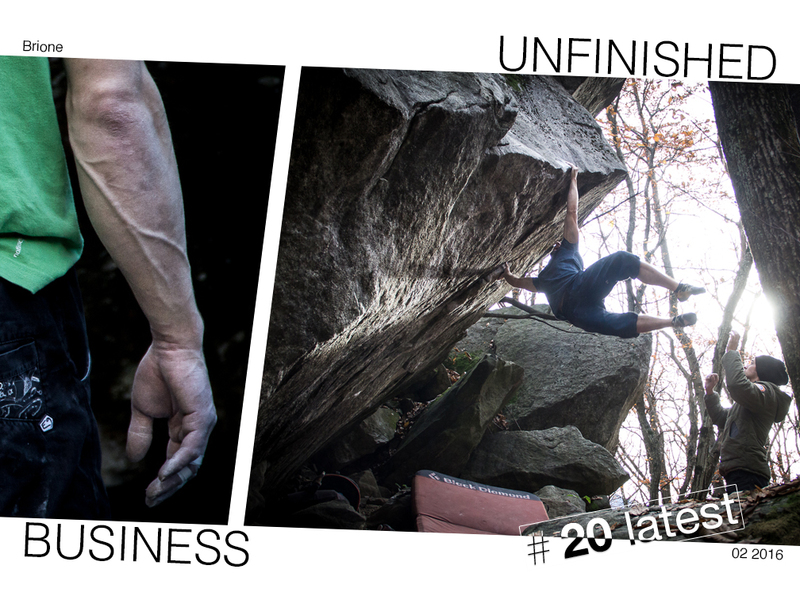 What followed was a twelve day long bouldering vacation in a class of its own. 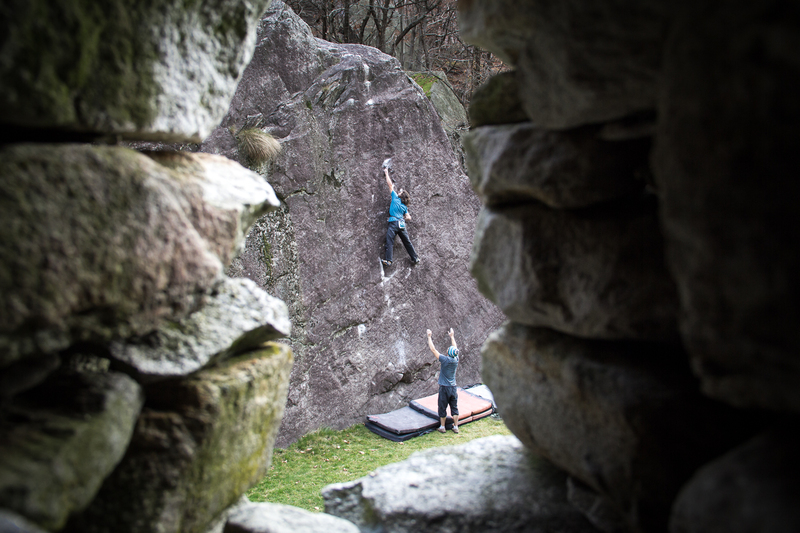 On a daily basis we wandered from classic to classic, laid our hands on perfect rock features, enjoyed the seclusion of the area and climbed as much as we wanted. Long days in the forest made the use of headlamps mandatory. 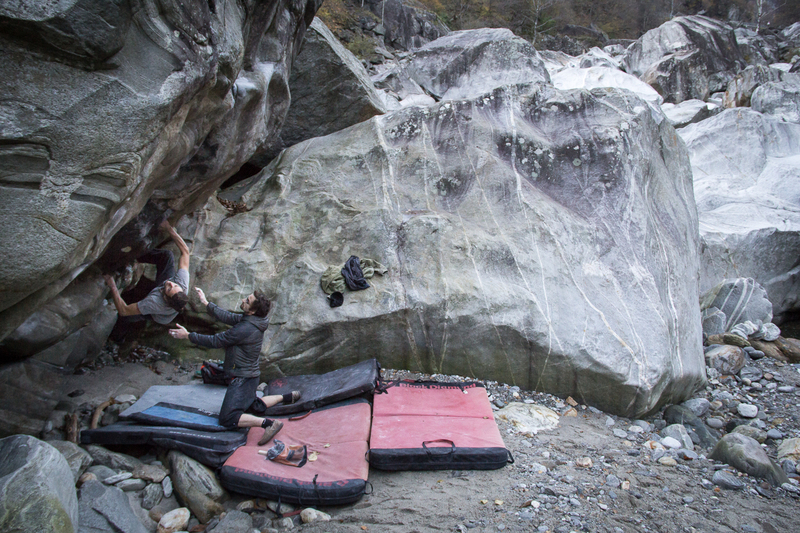 Ribi, familiar with nearly every problem in Valle Verzasca, provided plenty of back ground stories mixed with the right amount of entertaining gossip and speculations. Having someone in the group who can guide you like a local proved to be invaluable. When he led me to Vecchio Leone I couldn’t control my enthusiasm. Standing in front of this perfect line made me feel impatient and motivated at the same time. I needed to try the moves as soon as possible. 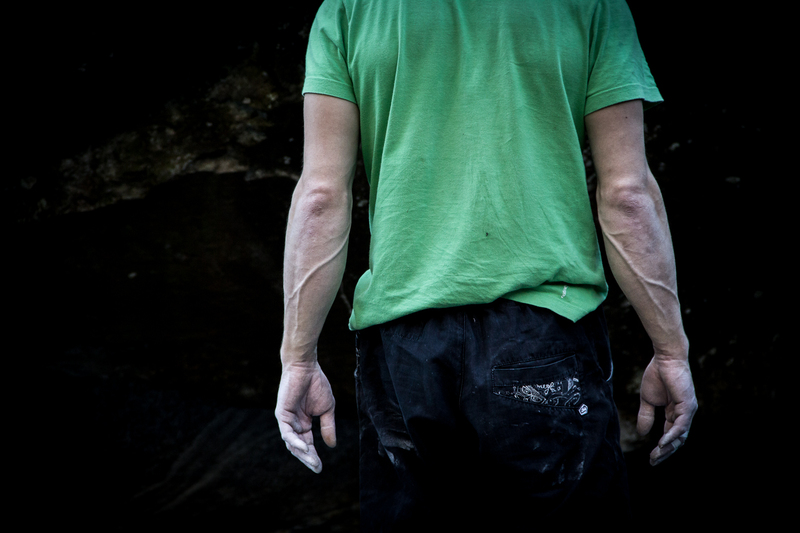 During our stay we all climbed Limited Edition 7c+, probably one of the most perfect lines we ever did. I ticked a few 8As including my first flash in this grade, but no matter what, my mind was constantly occupied with Vecchio Leone. The first two sessions on the problem went really well and there was a chance of sending before our time was over. On our last day, the car was already loaded for the drive home, we headed to the boulders one more time. 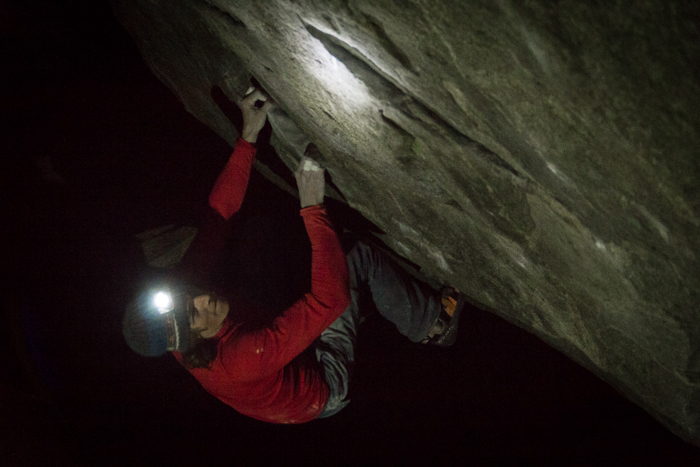 Full of energy and with the right amount of pressure on my shoulders I was eager to try hard. Conditions were prime, skin was good and I gave everything. I came very close, did the lock off to the pinch, fixed the hold, dropped the left knee, grabbed the crimp above and slipped. After a few more goes I had to accept that everything wasn’t enough that day. On our drive home we had a lot to talk about, about things we have been discussing hundreds of times already: training, mental strength, tactics, injuries and many more. At one point we fell silent and just drove through the pitch black night, dwelling on personal thoughts, thinking about future plans and how to make them happen. We knew the road will always beckon, we knew other adventures will follow. Andi Matuska in Black Mirror. 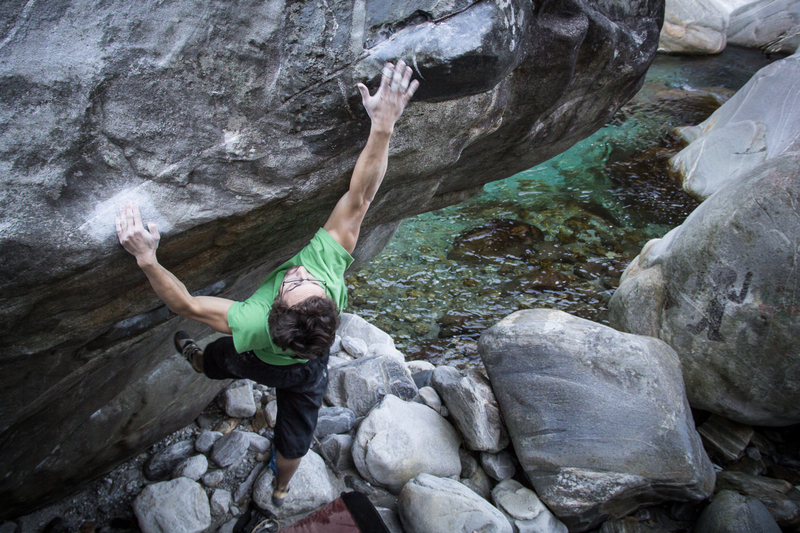 Christian Rieberer fighting bad conditions in The real Pompelmouse 8a. 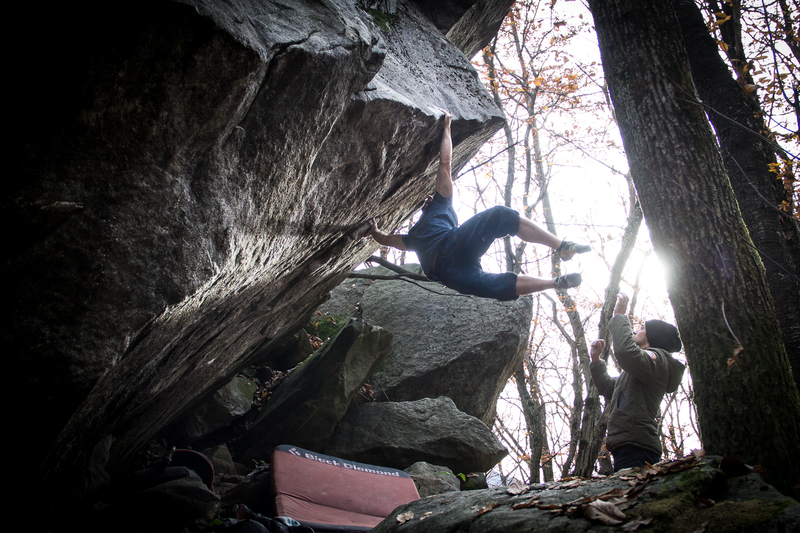 Sabine Bacher doing the crux move of Marilyn Monroe 8a. 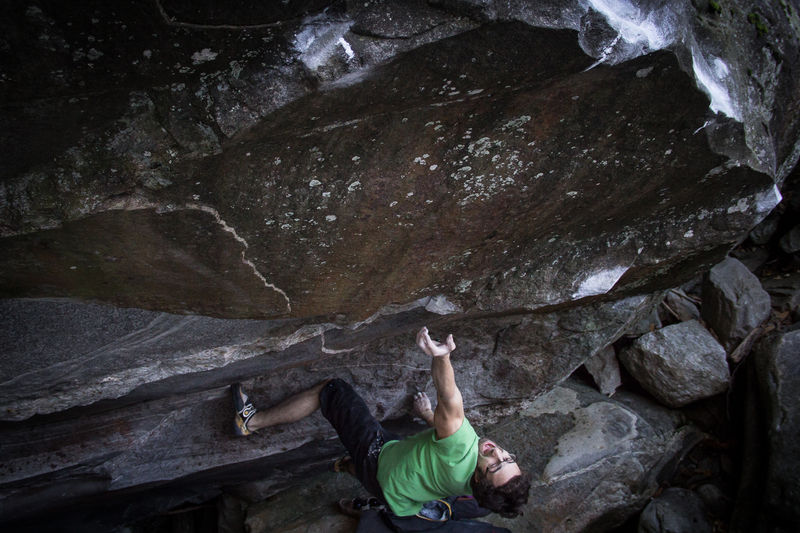 Crux move of Side Effect 7c+. 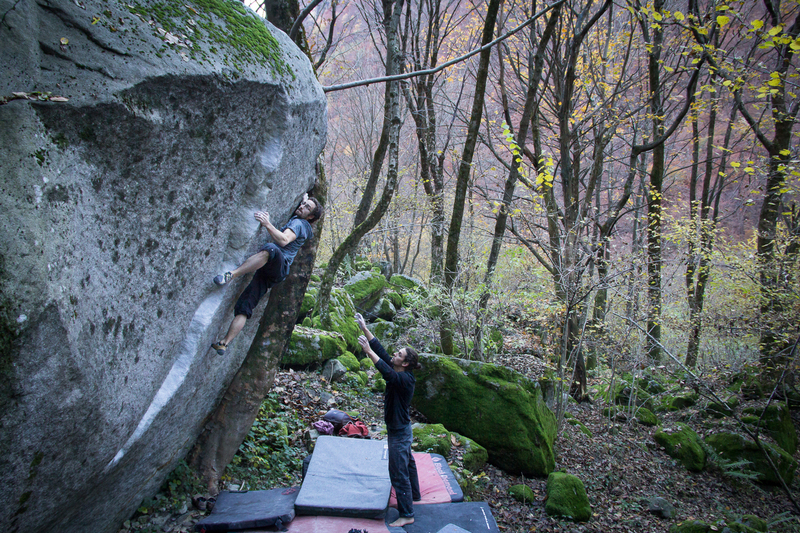 Andi and Ribi during their morning session at Brains in Crisis 8a+. Crux move to the lip of Brains in Crisis. 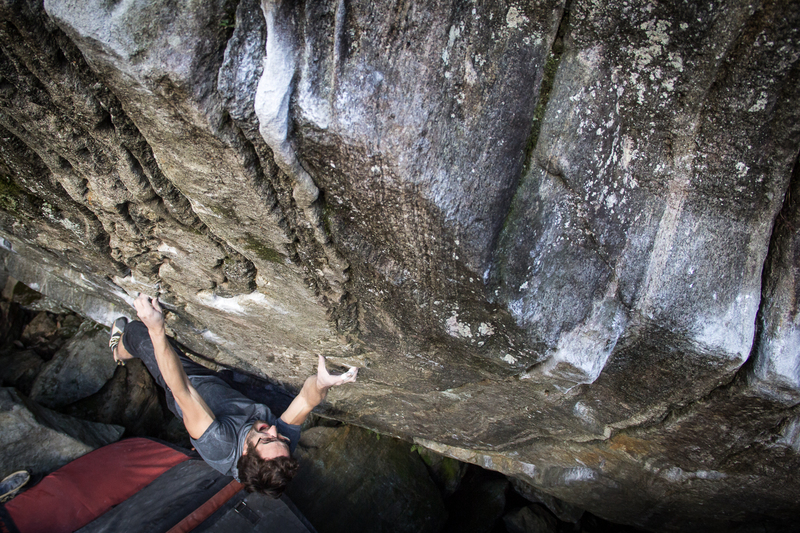 One boulder, one line. 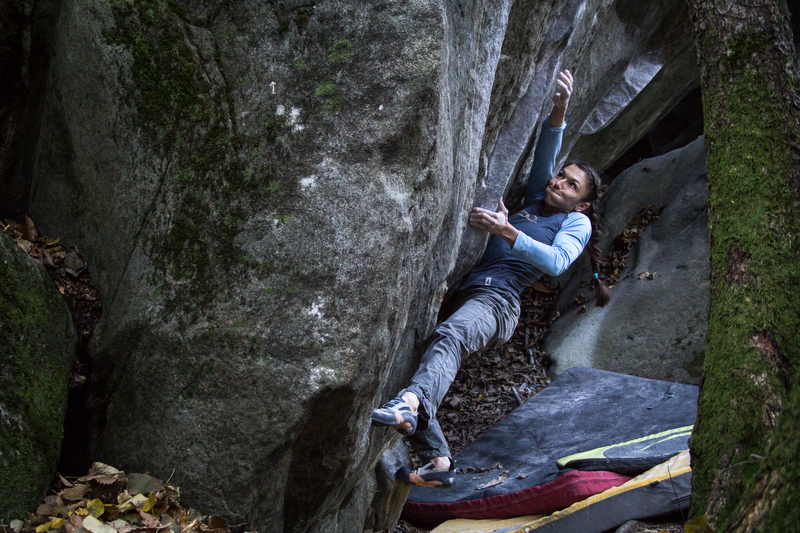 Andi spotting Ribi in Limited Edition 7c+. Ribi, Martin and me. Andi behind the camera.